The IDF on Sunday tested the “Magic Wand defense system designed to shoot down long range missiles fired at Israel. On the heels of the very successful performance of Iron Dome during Operation Pillar of Defense, the IDF on Sunday tested yet another missile defense system, “Magic Wand,” also known as David's Sling, designed to shoot down long range missiles fired at Israel. 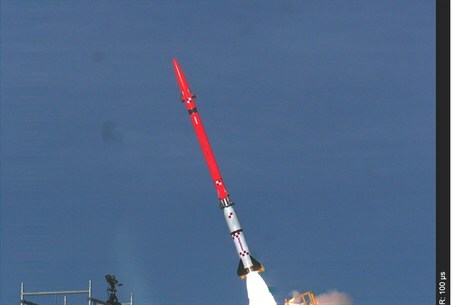 Whereas the Iron Dome system is designed to intercept short-range rockets that are not precisely aimed and whose trajectory can change with the wind or other environmental factors, Magic Wand is designed to prevent more sophisticated long-range missiles with guidance systems, such as cruise missiles, from striking Israel. It is believed that Hizbullah possesses some of these missiles, which have ranges of up to 300 kilometers. The system was developed jointly by Rafael (Israel Military Industries), Elta, Elbit Systems, and U.S. defense manufacturer Raytheon. The system is able to “follow” the moves of an incoming missile and detonate it in the air, similar to the Iron Dome system. Magic Wand is Israel's third missile interceptor system, along with Iron Dome and the Arrow, designed to intercept long-range ballistic missiles. Sunday's test included all elements that a real usage of the system would entail, including the necessary missile tracking system and an incoming target. The test was a success, IDF officials said, and the results of the test would be analyzed to improve the system and prepare it for production and field use. Speaking Sunday night, Defense Minister Ehud Barak said that the great success of Iron Dome showed the importance of these missile defense systems.